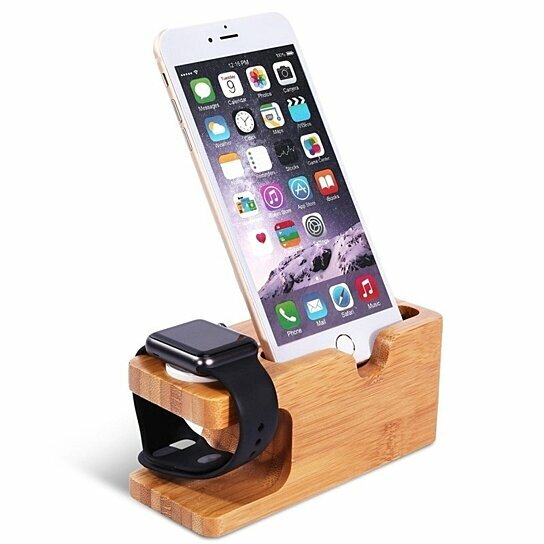 Looking for a convenient way to charge and store your iWatch or iPhone, then this durable wooden charging dock is for you. Elegantly designed and compatible with iWatch, iPhone 4/4s/5/5s/6/6s/6 Plus/7/7 Plus/8/8 Plus/X and iPhone Xs/Xr/iPod & iPod Touch. **Each product may slightly vary due to the inconsistent nature of the materials and the hand-made process and may contain some knots or natural smudges. ✅100% SATISFACTION GUARANTEE: Shop worry free! We offer customers a replacement or exchange guaranteed! If you’re not satisfied with your purchase, you can return this item within 14 days of receiving it. Buy with confidence, we are here to give you the best customer service.